Mikrotonaalisen musiikin festivaali Helsingin keskustassa 17.-19. lokakuuta 2018. Kaksi konserttia, yhdeksän asiantuntijaluentoa ja paneelikeskustelu, joissa perehdytään tavallisesta poikkeaviin viritysjärjestelmiin ja niille sävellettyyn musiikkiin. Two concerts, nine lectures and a panel discussion exploring new music in alternative tuning systems. Korvat auki in co-operation with Finnish Microtonal Society presents the MikroFest Helsinki 2018, a three-day microtonal music festival held from Oct 17th to 19th. All events will be held in central Helsinki, Finland. Artists and presenters include microtonal composer and instrument builder Christian Klinkenberg (BE), musicologist and microtonal music researcher Lidia Ader (RUS), glissando flutist Erik Drescher (GER), Korvat Auki Ensemble, microtonal composers Juhani Nuorvala and Juhani T. Vesikkala, microtonal cellist Juho Laitinen, musicologist and microtonal music theorist Juuso Kunttu, quarter-tone piano developer and pianist Elisa Järvi, instrument builder and zorm artist Juhani Räisänen, mathematician and microtonal music theorist Kalle Aho, and composers from Korvat auki: Tuomas Kettunen, Teemu Mastovaara and Matilda Seppälä, as well as composers whose works were selected in a worldwide call for works. • 10.15-16.00 presentations by Juuso Kunttu, Juho Laitinen, Tuomas Kettunen and Lidia Ader (RUS). Venue: Auditorium of the Helsinki Music Centre. Free entrance. 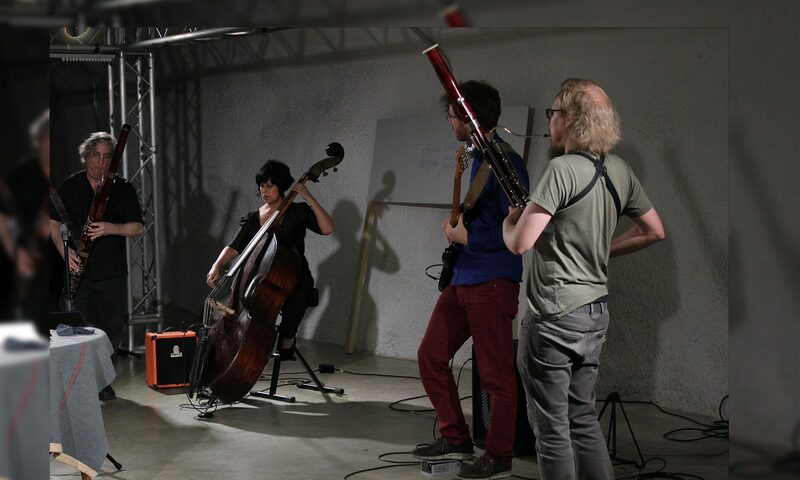 • 18.00-20.00 opening concert: Bag of tricks, cave of skills – microtonality in improvisation. Includes microtonal improvised works by Korvat Auki Ensemble, Juhani T. Vesikkala and Juhani Räisänen, zorm. Also includes works by composers Marc SABAT, Tuomas KETTUNEN, Teemu MASTOVAARA and Matilda SEPPÄLÄ performed by Juho Laitinen and others. Venue: Vapaan Taiteen Tila (Space for Free Arts), Helsinki. Tickets sold at the venue. • 11.30-16.45 presentations by Kalle Aho, Christian Klinkenberg (BE), Juhani Nuorvala, Elisa Järvi and Erik Drescher (GER). 17:00-18:00 Panel discussion moderated by Niilo Tarnanen. Venue: Auditorium of the Helsinki Music Centre. Free entrance. • 19.00-21.00 Glissando-flute recital concert, performed by Erik Drescher (GER). Includes recent glissando flute repertoire and world premieres of microtonal works by Alyssa ASKA (AT/USA), Beatrice BARAZZONI (IT), Adrian DEMOČ (SK), Martin RITTER (AT), Juhani T. VESIKKALA (CZ/FIN), and Sowon YUN (GER/KOR). Venue: Gallery Myymälä2, Helsinki. Tickets sold at the venue. Program books will be for sale at all events. Visit also the site of Finnish Microtonal Society and read more of MikroFest there! Previous PostPrevious Haku mikrotonaalisille sävellyksille tai esityksille. | Call for microtonal works. DL 1.9.